The entry fee for this charity race is a new, unwrapped toy with a minimum value of $15 or more for a child between the ages of 3 and 14. Please refrain from bringing toy guns, Nerf guns, bows and arrows or other toy weapons. We strongly encourage online registration. Registration will begin Wednesday November 1st and continue through Tuesday November 27th at 5pm. If you want to receive an official time for your 5K and be eligible for prizes, you must select the optional $5 Official Timing Chip during online registration before Tuesday November 27th at 5 pm. If you are registering other participants, you must first add them as dependents under your account profile. RUTGERS AFFILIATES: do not create a new profile to sign into your account. 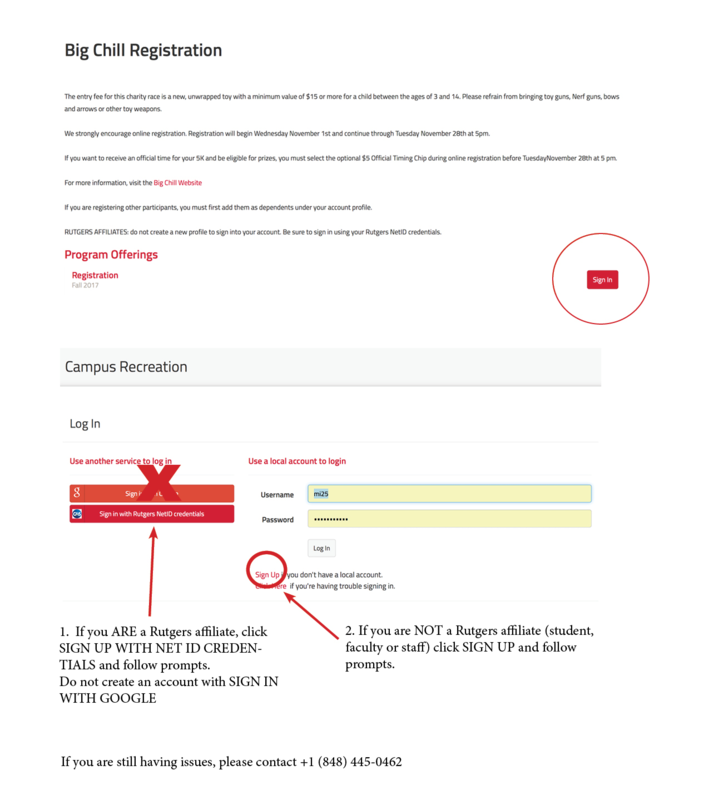 Be sure to sign in using your Rutgers NetID credentials.